Home » Are You A Candidate? One of the most common questions we get from our patients is what makes a good dental implants candidate. In the most general terms, patients who are missing teeth and have good oral health are usually good candidates, but this is not all that is required. Here are some more detailed facts about what makes a good candidate for implant surgery at Mainland Dental Associates. What Characteristics Make A Good Implant Candidate? What Facts Might Prevent Me From Getting Implants? I am a child. A younger child’s jawbone is not developed yet so implants may shift; therefore, age may be a factor. I grind or clench my teeth severely. I have a weakened immune system or chronic illness. I am undergoing cancer treatment. The above facts do not make you the ideal Implant candidate, however, they may NOT disqualify you. They will necessitate further examination and possibly other procedures prior to getting implants. Many of our patients looking for a good tooth replacement option discover dental implants in their search. 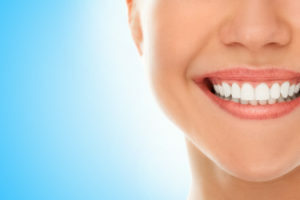 Once they see how amazing dental implants look, they usually want to know if they are healthy enough for oral surgery. If this happens, we recommend that patients get a full examination with one of our doctors before any determination can be made. This examination will allow our team to examine your teeth, mouth, and jawbone to see if dental implants are right for you. If you are considering dental implants, we would encourage you to put yourself in the best possible position for dental implant success. What can you do? Do you want to get started right away? The best way to do this is to schedule a consultation. This initial exam will allow us to look at your mouth, review your health history, discuss your goals, and determine what the best treatment plan is for you and your budget. After this appointment, we will provide you with a written estimate and allow you to ask as many questions as you need to feel comfortable with your treatment choice. Now that you have learned all about what makes a good Dental Implant Candidate, why not take a look at what happens during the Dental Implant Process? If after reading about what makes a good candidate, you find that you still have more questions about dental implants, please read the rest of our informative Dental Implants InfoSite. Then when you are ready to schedule your consultation, call us for an appointment with Dr. Mendelsohn or Dr. Zhang.